NEW CANAAN — Sometimes difficult conversations must be had with aging relatives regarding the use of cars. 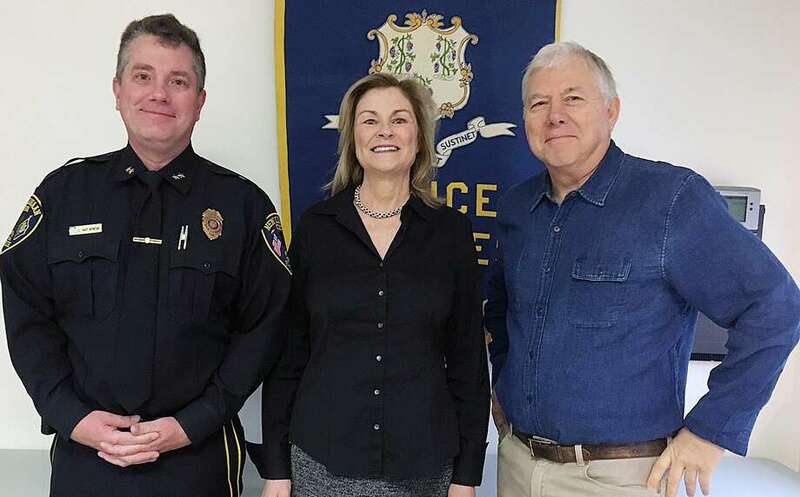 That’s what a panel of members from four different organizations - Staying Put in New Canaan, New Canaan Police Department, Stamford Health Medical Group and Brown Thayer Shedd Insurance - will discuss at the New Canaan Library on Jan. 10 in the Lamb Room. This will be the first of three discussions at the library throughout January and February in a series called “Necessary Conversations: A Series on Topics Related to Aging” organized by Staying Put in New Canaan along with other local groups. Barbara Achenbaum, executive director of Staying Put in New Canaan, wants to get three points across at the meeting: to ensure that older adults are safe behind the wheel, to communicate medical directives and end of life wishes and to consider living options for the future like moving nearer to one’s children. Staying Put in New Canaan is a nonprofit organization founded in 2007 by long-time residents who wanted to provide social support and community engagement events with senior residents of the town. The panels are free and open to the public, but reservations are requested due to space limitations. The second event will be held on Jan. 24 at 6:30 p.m. at the New Canaan Library. The third event will be held on Feb. 7 at 6:30 p.m. at the New Canaan Library. In 2017, Staying Put in New Canaan organized 76 events with a total of 1,423 attendees according to their website. The panel on Jan. 10 will be moderated by Director of Member Resources at Staying Put Kathy Collins, Police Chief Leon Krolikowski, Craig Olin, M.D., from Stamford Health Medical Group and Tim Brown of Brown Thayer Shedd Insurance. The meeting was organized at the library with the goal of attracting adults of ages from 40 to 60 years old, a target audience according to Achenbaum. The second part of the event, which will deal with medical emergencies, will take place Jan. 24 and the third part, which will discuss relocating of seniors closer to their families, will take place on Feb. 7. All three events will take place at the New Canaan Library.